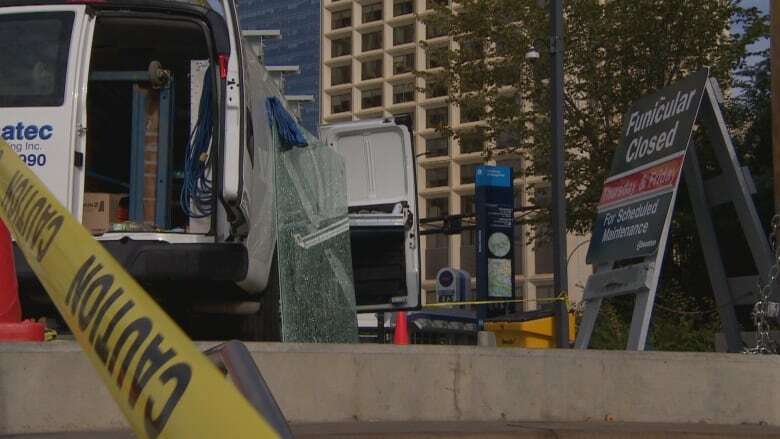 Edmonton's river valley funicular was closed Thursday and Friday while crews replaced glass recently damaged in acts of vandalism. 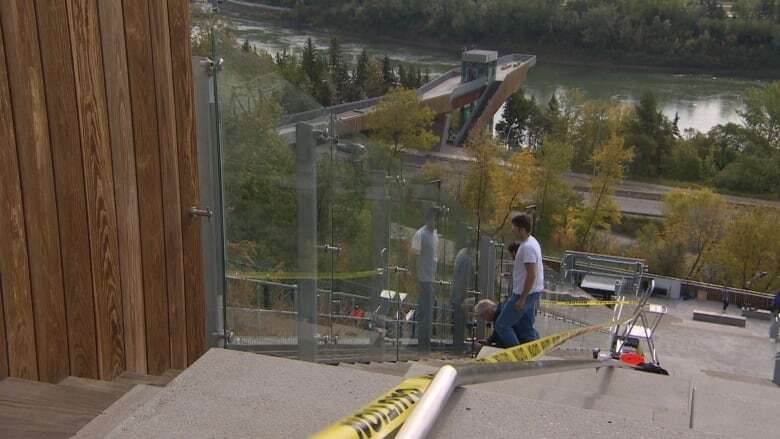 Edmonton's river valley funicular was closed Thursday and will remain closed Friday while crews replaced glass recently damaged in acts of vandalism. The two-day repair to replace three panes of glass will cost the city $47,000. Reminder: Shutdown Notice: Glass Replacement<br>The funicular will be closed on September 6 and 7 to replace broken glass found after acts of vandalism. Please remember to report vandalism behaviour if you witness it. The broken glass, on the stairwell and in the funicular cab, was discovered during a daily inspection, city spokesperson Suzzette Mellado said in an emailed statement. "Unfortunately, this is not the first time the funicular has needed repairs due to vandalism," Mellado said. "However, this is the first act of vandalism that has required closure of the funicular for repairs." The glass along the funicular route is customized. It takes longer and costs more to produce than standard glass. The city is looking into standard alternatives to cut down on those costs and wait times, Mellado told CBC News. The $24-million river valley funicular opened in December 2017. It connects the area around the Low Level Bridge to 100th Street near the Fairmont Hotel Macdonald. Staff inspect the area several times a day and cameras are installed on site.